Stat Counter reports that Google is the search engine used by 90.62% of internet users. Yahoo trails behind with 3.78% users, and Bing has 3.72%. According to a survey done by Yelp, 85% of Consumers Use the Internet to find local business. So consumers are using search engines to find local businesses, and they are primarily using Google. I did an experiment. 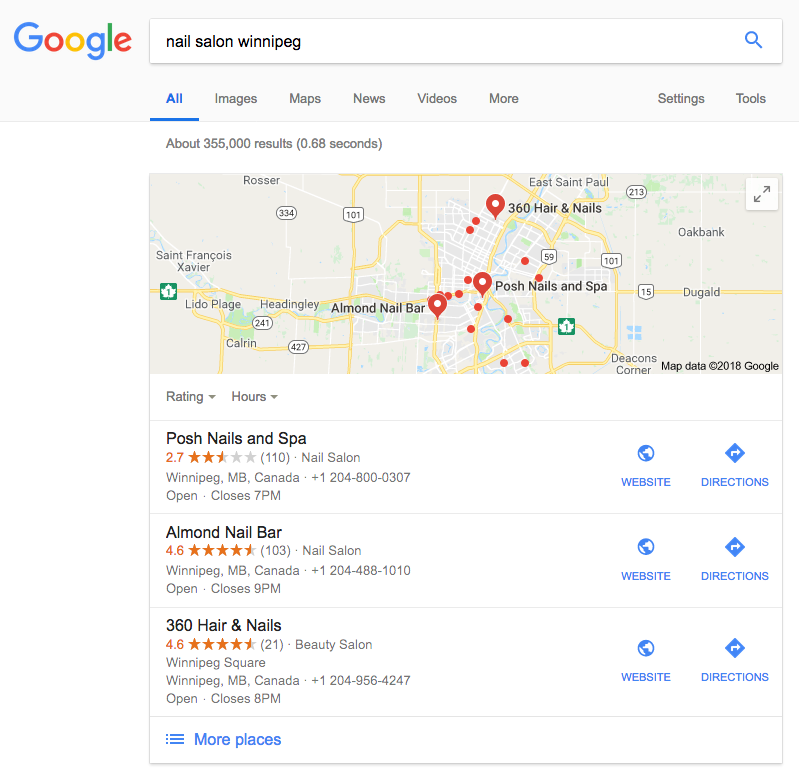 I searched for nail salons in my city Winnipeg, Manitoba, Canada. This is what came up. The first thing users are shown are Google reviews! The businesses with the highest number of reviews are shown first (despite the first one having a low rating). So number of reviews is very important. Rating is also important. Users can filter out businesses with low ratings by using Google's rating tool. In today's competitive market it's absolutely essential to have a reputation management tool to make sure your business gets a high number of reviews.